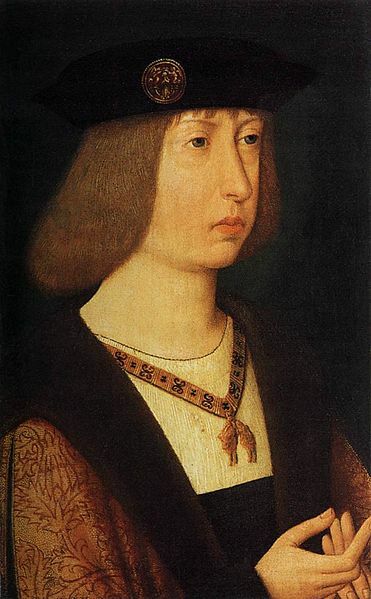 In 1501, Philip of Burgundy and Juana of Castile became the heirs of the kingdoms of Castile and Aragon. This new status required them to appear in constitutional ceremonies in principal cities of Spain and before the ‘Cortes’ to witness the swearing of oaths to them as heirs. The route they would take was the subject of controversy. Juana’s parents, Ferdinand and Isabella were insisting they take a sea voyage from Flanders to Spain. Philip’s advisors stipulated an overland route through France. The matter was settled in August of 1501 when Philip agreed to marry his son Charles to Claude, the eldest daughter of King Louis XII of France and his queen, Anne of Brittany. This marriage created some family friction for Philip. Juana was adamant about upholding her rights as the heiress to the Spanish kingdoms but Philip refused to side with Spain and the Spanish monarchs. He was defiant in his support for a pro-French agenda. After all, he owed homage to France for his Burgundian possessions. Philip expressed an interest in meeting his prospective daughter-in-law and when King Louis heard this he invited Philip and Juana to visit the French royal court at Blois on their way to Spain. Philip may have been planning this all along. Queen Anne of France had sent a deputation to Philip’s court to reside there from April through May most likely to promote the marriage of her daughter and the voyage through France. Due to the enmity that existed between the two countries and their houses, there was considerable hope this meeting would usher in a new era in international relations and perhaps result in a new universal peace. The momentousness of the occasion was demonstrated in the grand appearance during the visit of etiquette and pageantry. Juana insisted on making the journey on horseback in spite of the foul weather and the bad roads. Queen Anne sent Madame de Vendôme along with fourteen women to wait on Juana while she traveled from one town to the next. Juana made an official entry into Valenciennes on November 9 where she was given two silver pots and a bowl covered with flowers of gold by the inhabitants. Philip and Juana made their official entry into France on November 16 where they were met with immense receptions. They arrived in Paris where a grand banquet was given for the couple that included engaging maidens, drink, spices, sweets and dancing. Juana left after one night to make her way to the castle of Blois. Philip stayed in Paris four more days before joining her. 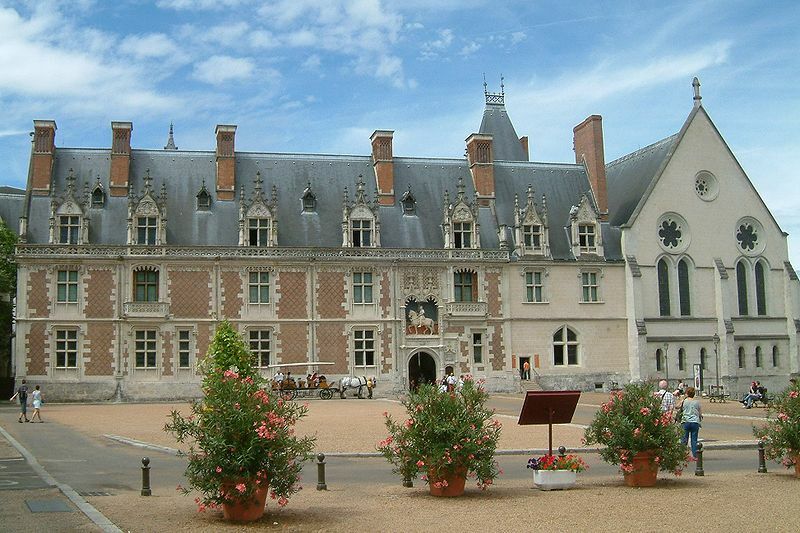 They arrived at Blois together on December 7 where they were housed in a newly built section of the palace which had been richly tapestried and furnished just for their visit. Philip went to meet King Louis with his retinue accompanied by Pierre de Beaujeu, the Duke of Bourbon. He entered the king’s presence and bent down on his knee three times as he neared. Louis rose and doffed his cap at each bow, advancing and embracing Philip. The heir to the French throne, Francois d’Angouleme was seven years old and he came forward to receive a kiss from Philip. It was Francois’ first appearance at a grand court occasion. 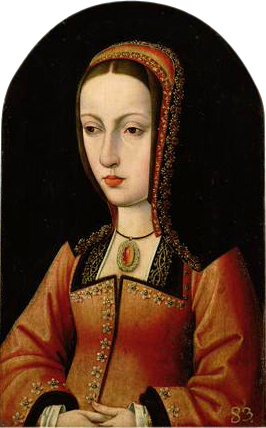 Juana was particularly intent on maintaining her status as the heir to the Spanish throne without offending her hosts. She was asked if she would kiss the King of France and would only agree after consulting with her minister the Bishop of Córdoba. The Bishop agreed a kiss was acceptable. Louis had insisted that Philip bow three times to him but when Juana arrived, he rushed over to her preventing her from curtseying twice. The good natured Louis then released her, courteously asking her to go to his wife so the men could be alone together. Juana began making her way to the door where the Duchess of Bourbon was waiting for her to arrange her dress and take her to the Queen but there was a crush of people preventing her from reaching the door. Then Philip came and pressed his way ahead of his wife making the crowd even bigger and more raucous, causing further delay. She finally made her way to Queen Anne who was sitting on her throne in front of the fireplace with the princess of Orange. Anne and Juana curtseyed and kissed and made some small talk. The small talk soon faded out. 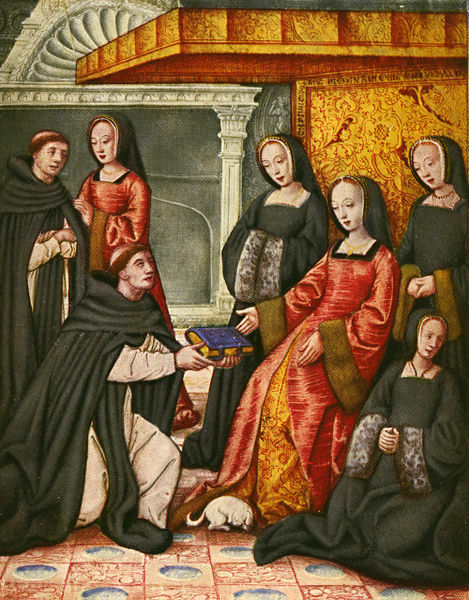 Juana then saluted the women on either side of the throne including those of Angoulême, Alençon and Dunois along with the King Louis’ niece Germaine de Foix. Germaine would marry Juana’s widowed father King Ferdinand four years after this visit. The rest of the Queen’s ladies were standing along the wall but the Duchess of Bourbon quickly caught Juana by the arm, telling her it would take forever to greet and kiss all these ladies and took her to her apartments. At the door of her antechamber she was met by Louis and Anne’s daughter, the two year old Claude in the arms of her governess’ daughter. The governess, Madame de Tournon stood a few feet back with another group of noblewomen and behind them was a band of little girls on their best behavior. Claude took one look at Juana and burst into tears. She was taken away screaming at the top of her lungs. That evening Philip was wined and dined in considerable style. The king was observing the vigil of the Immaculate Conception so he fasted on bread and water and retired early. Juana was waited on by a deputation at seven o’clock with light refreshments. The king’s officer was followed by six pages dressed in the king’s red and yellow livery, each holding a candlestick in their hand. The Duchess of Bourbon followed carrying the preserves and Madame d’Angoulême carried the napkins. Madame de Nevers carried in the knives and forks followed by Charlotte d’Albret and Germaine de Foix, each carrying a dish of sugared almonds. The queen’s apothecary came in last in case Juana had any indigestion from the meal. Only ladies were allowed in the room and they left what they brought on a dresser and the beds. Juana sat on a cushion on the floor with the Duchess of Bourbon who tried to put her at ease. The duchess rose at the end of the evening and diplomatically declared to Madame de Vendôme she was keeping Juana up and she needed her rest. She left Juana with Madame de Vendôme to show her the rest of her apartments and encouraged Juana to let her know if there was anything else she needed. To ensure there was to be nothing else needed, a procession of servants were furnishing Juana’s inner chamber with the best towels, bed-warmers, sponges, mirrors, nightcaps and pins. Even the basin of her close-stool was made of silver with gold plate around the rim. The next day, Queen Anne sent a purse of money for Juana to present in Anne’s name at mass. Juana refused to perform this act of vassalage and insisted she would only give money in her own name. Anne waited for Juana to follow her out of the chapel but Juana lingered long enough to demonstrate she left on her own accord. Queen Anne was fuming and that evening Juana made her excuses saying she was ill to avoid the festivities. Several ladies of the French court carried spices to Juana. Philip offered money in Louis’ name at mass that same day. A few days later Juana appeared at dinner in Spanish style dress covered in jewels and cloth of gold. After supper she danced in the Spanish manner, impressing all with her elegance. The entire visit was filled with banquets, dancing and many private suppers along with worship and thanksgiving. Unfortunately the dreadful weather made hunting impossible. The archducal couple would leave Blois on December 15 with King Louis accompanying them as far as Amboise. Madame d’Angoulême would entertain Juana and Philip for six days at her home in Cognac. Louis was so pleased with the visit he dreamed of a peace treaty with Spain and Queen Anne’s hopes for the Habsburg marriage for her daughter were greatly increased. Unfortunately neither of these things happened. In April of 1505, King Louis was gravely ill and the doctor’s feared for his life. He was forced to make a definitive decision regarding the marriage of his daughter Claude. In May of 1506 he proclaimed in his will that six year old Claude would marry the eleven year old heir to the throne, Francois d’Angouleme. 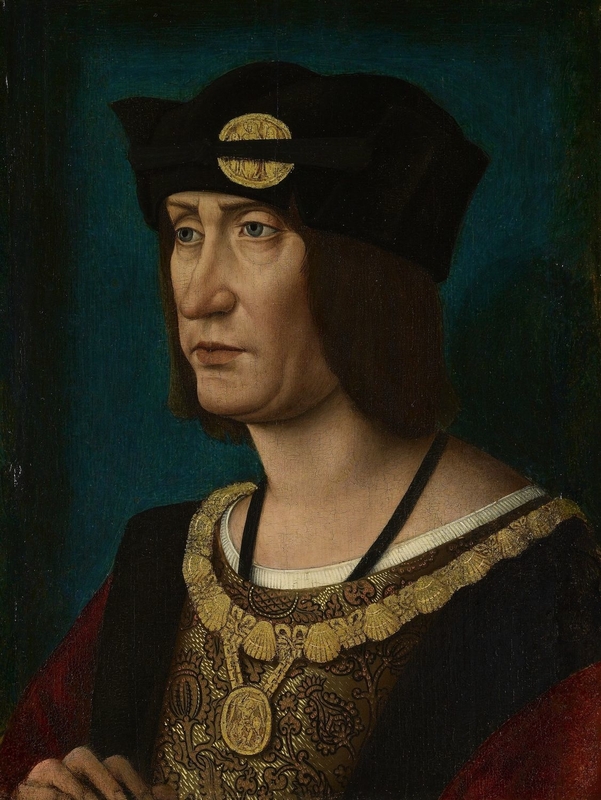 Claude eventually married Francois who became King Francois I upon the death of Louis XII on January 1, 1515. Quite a dramatic telling. I like to remember that, during the whole of November 1501, after a long sea voyage, Juana’s sister, Catalina (Katherine of Aragon) was on her way to wed Arthur Tudor, with the misfortunes Susan has retailed elsewhere. Katherine shared Juana’s skills at dancing and languages, to which Vielka Helen refers. Shall we ever penetrate the spin and propaganda about Juana and her sister? Correction: Katherine was travelling through England in October, with her journey to London and marriage in November. So, Juana missed her sister’s wedding. Despite her entourage of around 80, Katherine must have felt being without her family. I enjoyed this, Susan! What a grand and glittering court it must have been. Was Juana related to Catherine of Aragon in some way? And I seem to remember from somewhere that she was thought to be a bit loopy. She does look to be brooding on something, in her portrait! Yes Jo, Juana was Katherine’s sister. Juana was beautiful and brilliant. Her madness has been a matter of debate for centuries. The rumors were started by her husband and her father who wanted to rule Castile in her place. There’s a good story there! Susan’s enjoy reading this post, like I post on Facebook, I read before that she dance beautifully, she learn French, and I remember the part about when she was at the mass, she want to used her own money, and as well that she preferred to ride the horse, I know that she like to do great entrance when she go from city to city… I love all your post Susan, thank you….